We supply the WARMroof tiled conservatory roof to all our trade customers in Bury St Edmunds, Ipswich, Norwich, Peterborough, Colchester, Maidstone, Canterbury and Sittingbourne – throughout East Anglia, Kent and the South East of England. 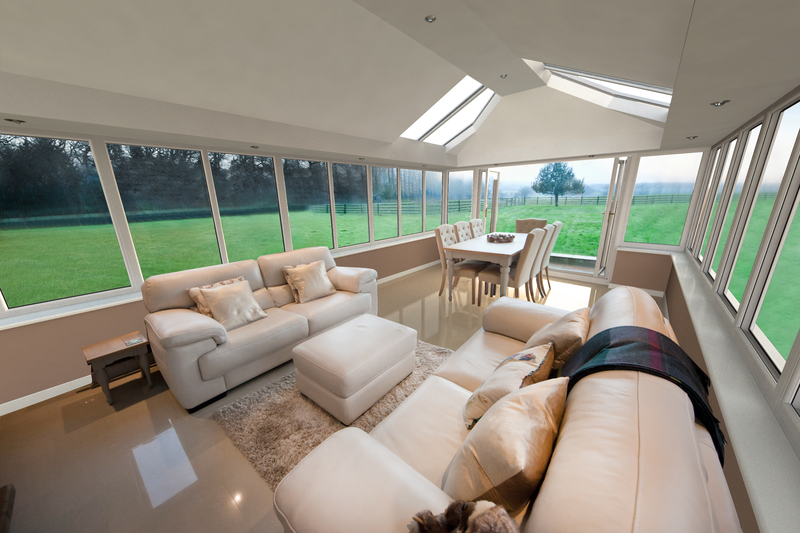 These gorgeous conservatory roof replacement systems are one of the most configurable and sturdy roofs available in the UK market. This makes them perfect for new constructions as well as for refurbishing older conservatories. They can even be used to replace older extensions. The WARMroof system is an excellent compromise between a built-up room and a glazed conservatory. The WARMroof systems are incredibly robust, allowing them to bear the weight of any kind of tile. This means you can offer your clients a concrete, clay, or slate tiled conservatory roof based on your their needs and preference. 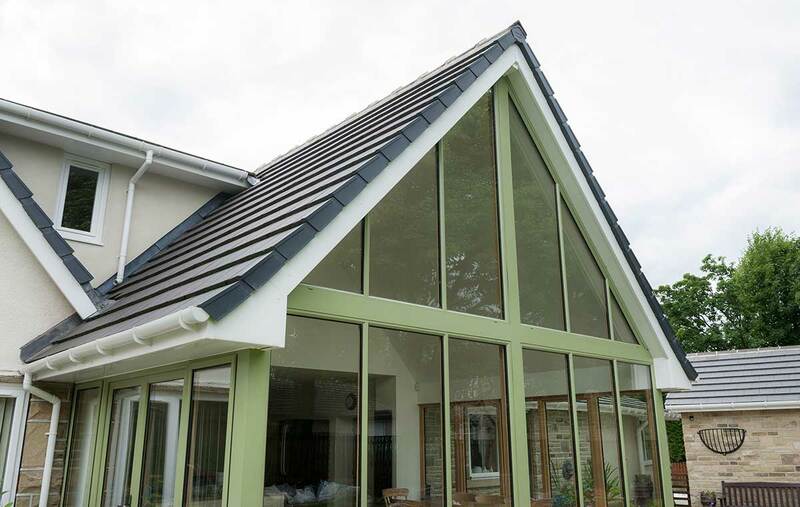 These roofs also offer incredible thermal performance, offering a temperature-controlled glazed extension. We also offer a range of finishing touches so that they can be tailored to blend in with the interior of any home. One of the biggest advantages the WARMroof system offers you is the fact that these tiled conservatory roofs are incredibly quick and easy to install. The structure is pre-fabricated according to the specifications, so all you need to do is assemble them at the location. This process takes less time than putting up any other conservatory. The result is a reliable installation in less time that your client expected. Combined with the attractive WARMroof prices and the 10-year guarantee we offer, you end up with a satisfied client. We provide WARMroof roofing systems that offer amazing heat efficiency. These roofs have been designed to give you thermal insulation of 0.18 W/m2k. With the Hybrid Glass option, you get a U-value as low as 0.6 W/m2k for better insulation. The clever ‘breathable roof construction’ of these roofs allows the damp to escape. However, the design of the tiles is such that any heat inside the house stays trapped. Since the insulation layer in on the outer surface of the tiles, they are also able to control the room from over-heating in summer while also keeping it warm in winter. This gives your client a conservatory that is comfortable all year round. With their effective temperature management, our WARMroof roofs can help lower the heating bills considerably. The WARMroof extension roofs offer an attractive style that can be customised to the requirements of your clients’ property. The stock tile options include the Envirotile and the TapcoSlate tile. These are artificially-created, lightweight tiles that realistically replicate the look of actual slate of clay tiles. The Envirotile is an environment-friendly recycled polymer based tile that looks exactly like clay tiles. 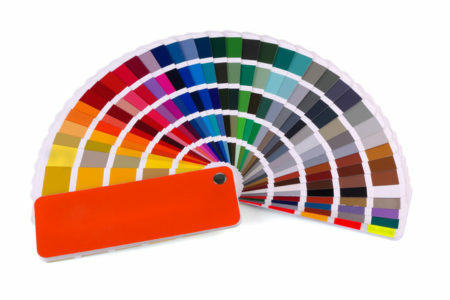 Unlike clay tiles, however, it is extremely light in weight and comes in 4 colours. This tile option comes with a 25-year guarantee. The TapcoSlate tiles, on the other hand, offer an authentic slate-like appearance. Made with a blend of limestone and polypropylene, these recyclable tiles are available in 5 standard colours, with the option of 9 alternative colours. These tiles come with a stunning 40-year guarantee. If neither of these options works for your clients, the WARMroof system can support the weight of any other tiling material, including concrete, clay, and slate. No matter your requirements, we will have a tiled conservatory roof replacement solution for you. 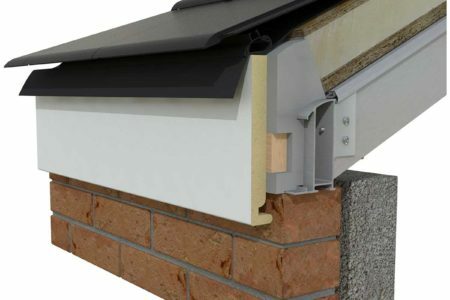 For clients who want natural light along with a solid roof for their glazed extensions, we offer the WARMroof Hybrid system. This system is available with the option of a timber-lined internal frame or a plastic option for a modern finish. The Hybrid roofing system allows a composite of a solid or tiled conservatory roof with 44mm triple glazed panels for light and ventilation. 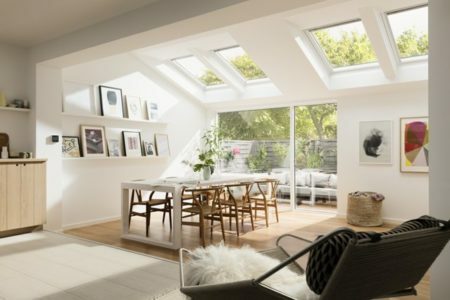 With Velux roof lights, you can control the amount of natural illumination and air circulation you get. The WARMroof Hybrid system is perfect for the discerning client who wants the roof looking and performing to their specifications. Our tiled conservatory roof has flexibility in the placement of its glazing panels. This way, your client can position them where they can maximise the light from the winter sun or shade themselves from harsh sunlight while still getting natural light. In addition to the tile options and the glazing choices we offer, you can also decide on the final styling options. We offer a range of options to help you decorate the interior of the glazed extension. We can give you down-lighters, as well as the option to add a canopy or corner details on the exterior. We can also fit your tiled conservatory roof with pelmets to accommodate additional lighting. These pelmets can even be used to house speakers, or window and door blinds. In fact, we also offer aluminium bi-fold doors or sliding patio doors so your clients can open up their conservatory in style. Are you interested in replacement conservatory roofs in your Bury St Edmunds home? In spite of the fantastic features they offer, our conservatory roof prices are quite competitive. If you want to know your WARMroof costs, get in touch with us. We will discuss your options and offer design suggestions. We will also give you your bespoke WARMroof quote. Get in touch with us today, and get a quote on our gorgeous WARMroof roofing system with our highly competitive tiled conservatory roof prices. Choose from two stock tile options - Envirotile or TapcoSlate for light-weight, recyclable options. The roof systems are also tested for concrete, clay, or slate tiles. Offering a U-value of 0.6W/m2k, our WARMroof tiled conservatory roofs give your clients exceptional heat performance, saving them money over the years. 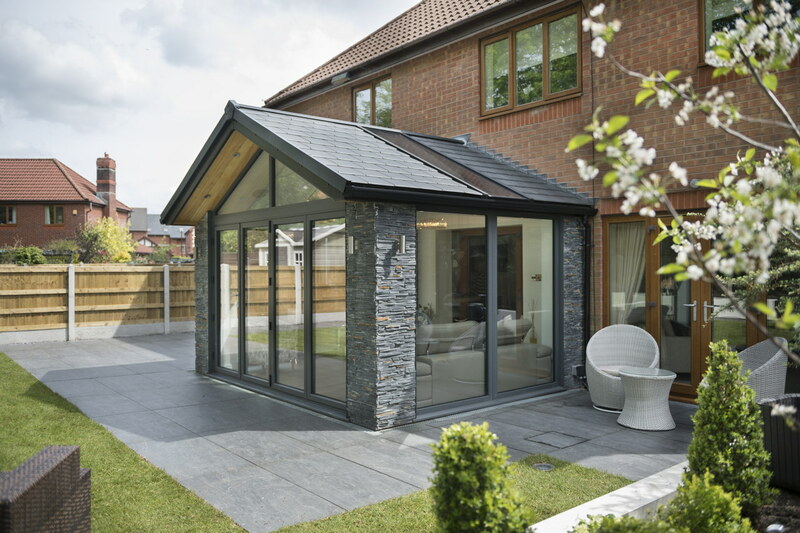 A brilliant option for clients that don't want a fully-tiled roof, our WARMroof Hybrid offers a tiled roof with custom glazed panels to tailor the amount of light.